Free Chips and Salsa on the Mall, originally uploaded by ShashiBellamkonda. 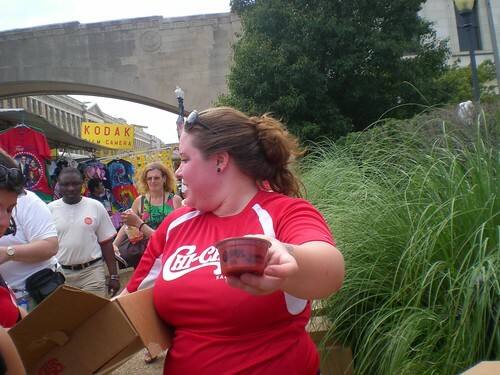 On July 4th Chi Chis folks were giving out free Salsa and Chips at the Smithsonian Station. This is a great idea and the chips were very good. I will remember Chi Chis for a long time. This is a great idea and the chips were very good. I will remember Chi Chis for a long time.